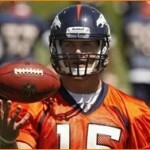 1 » During mini camp at the Dove Valley facility, Denver Broncos rookie quarterback Tim Tebow was elevated to the No. 3 position on the team’s depth chart – ahead of Tom Brandstater – but still behind starter Kyle Orton and back-up Brady Quinn. The former Florida Gators star took a few reps, though “Tebow’s throwing motion, by the way, is still a tad long. 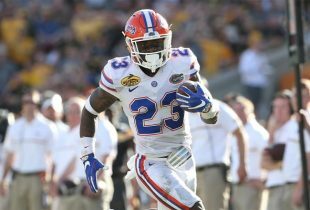 But he does fire with decent zip and accuracy,” said beat writer Mike Klis of The Denver Post. 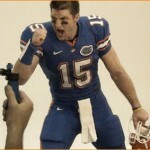 – VIDEO: Tebow speaks with Fox Sports about NFL career.